At this stage of the Journey, you become more committed to your meditation practice and experience the harmony of relating genuinely with your mind. In the Practice stage of your Journey, you’ll learn how to maintain a daily meditation practice and develop consistency. While meditation ultimately fosters letting go and relaxing deeply, initially it requires effort. At this level you will need to remind yourself to come back to the breath and be aware of your mind. Ultimately, by steadily building the habit of mindfulness, meditation becomes a natural and spontaneous practice. As you continue your Journey, you will grow more genuinely connected with your best self and the world around you. 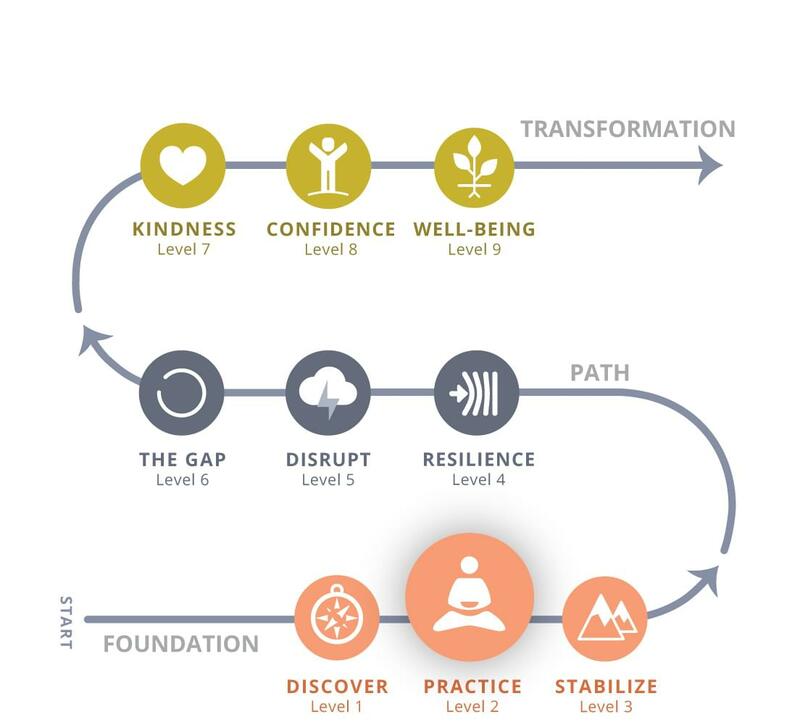 Level 2 Practice is the second stage of the Journey’s Foundation program. The meditation instruction focuses on expanding your experience of mindfulness practice.